^ 3.0 3.1 馬拉加在對戰紀錄中贏過皇家社會; 馬拉加–皇家社會 3–1, 皇家社會– 馬拉加 1–1. ^ 4.0 4.1 拉斯帕爾瑪斯在對戰紀錄中贏過瓦倫西亞; 瓦倫西亞–拉斯帕爾瑪斯 1–1, 拉斯帕爾瑪斯–瓦倫西亞 2–1. ^ 5.0 5.1 西班牙人在雙方淨勝球比數中贏過埃瓦爾; 埃瓦爾–西班牙人 2–1, 西班牙人–埃瓦爾 4–2. ^ 6.0 6.1 格拉納達在對戰紀錄中贏過希洪競技; 格拉納達–希洪競技 2–0, 希洪競技–格拉納達 3–3. ^ 1.0 1.1 1.2 1.3 1.4 1.5 1.6 La Liga Statistics – 2015–16. ESPN FC. Entertainment and Sports Programming Network (ESPN). [26 September 2015]. 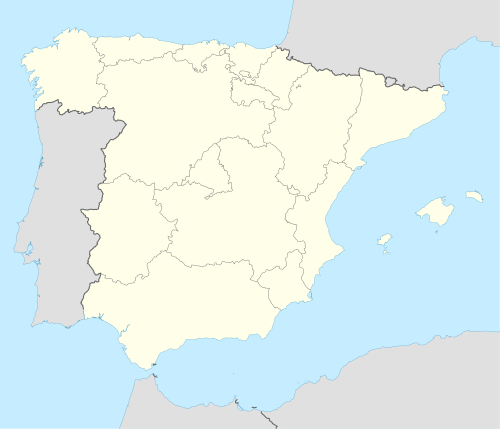 ^ Segunda División:Season Rules. scoresway.com. [22 March 2015]. ^ Official statement. LFP.es. 5 June 2015. ^ Javier Tebas: "We are certain the Royal Decree will soon be signed". LFP.es. 25 March 2015. ^ A Primera por la puerta grande. MARCA.com. [24 March 2015]. ^ Real Madrid sack Carlo Ancelotti; Rafael Benitez tipped to take over. BBC. 25 May 2015. ^ Rafa Benitez named new coach of Real Madrid. Sky Sports. 3 June 2015 [3 June 2015]. ^ Pablo Franco no entrenará al Getafe la próxima temporada. LFP.es. 1 June 2015 （西班牙语）. ^ Fran Escriba named new Getafe head coach as Spaniard agrees three-year deal. Daily Mail. 26 June 2015. ^ SD Eibar y Gaizka Garitano rescinden el contrato. SD Eibar. 30 June 2015. （原始内容存档于2015年9月24日） （西班牙语）. ^ José Luis Mendilibar nuevo entrenador de SD Eibar. SD Eibar. 30 June 2015. （原始内容存档于2015年9月24日） （西班牙语）. ^ Las Palmas sack Paco Herrera as manager after poor start. ESPN. 19 October 2015. ^ Quique Setién toma el mando en la UD Las Palmas. LFP. 19 October 2015 （西班牙语）. ^ Lucas Alcaraz says goodbye at Levante training ground. As. 26 October 2015 [26 October 2015]. ^ David Moyes sacked by Real Sociedad after a year in charge. the Guardian. ^ Nuno Espírito Santo resigns as Valencia coach after defeat by Sevilla. The Guardian. 29 November 2015 [29 November 2015]. ^ VCF Official Statement Gary Neville. ^ Galca nuevo entrenador del RCD Espanyol. ^ 21.0 21.1 Zinedine Zidane replaces Rafael Benitez as Real Madrid coach. ^ Betis part company with coach Pepe Mel. LFP.es. 10 January 2016. ^ José Ramón Sandoval and Granada CF part company. LFP.es. 22 February 2016. ^ José González replaces José Ramón Sandoval as Granada coach. ESPN. 22 February 2016. ^ 25.0 25.1 Valencia give Gary Neville the chop. Marca. 30 March 2016 [30 March 2016]. ^ Fran Escribá deja de ser entrenador del Getafe. Marca. 11 April 2016 （西班牙语）. ^ Gustavo Poyet named new Betis coach. LFP.es. 9 May 2016. ^ Ernesto Valverde named Liga BBVA manager of the Month for October. La Liga. 6 November 2015 [9 November 2015]. ^ Quique Setien named Liga BBVA Manager of the Month for March. LaLiga.es. 1 April 2016. ^ Aduriz named Liga BBVA Player of the Month for March. LaLiga.es. 1 April 2016. ^ Zinedine Zidane named Liga BBVA Manager of the Month for April. LFP.es. 19 May 2016 [19 May 2016]. ^ Koke named Liga BBVA Player of the Month for April. LFP.es. 19 May 2016 [19 May 2016]. ^ Luis Enrique named Liga BBVA Manager of the Month for May. LaLiga.es. 21 May 2016 [21 May 2016]. ^ Luis Suarez named Liga BBVA Player of the Month for May. LaLiga.es. 21 May 2016 [21 May 2016].